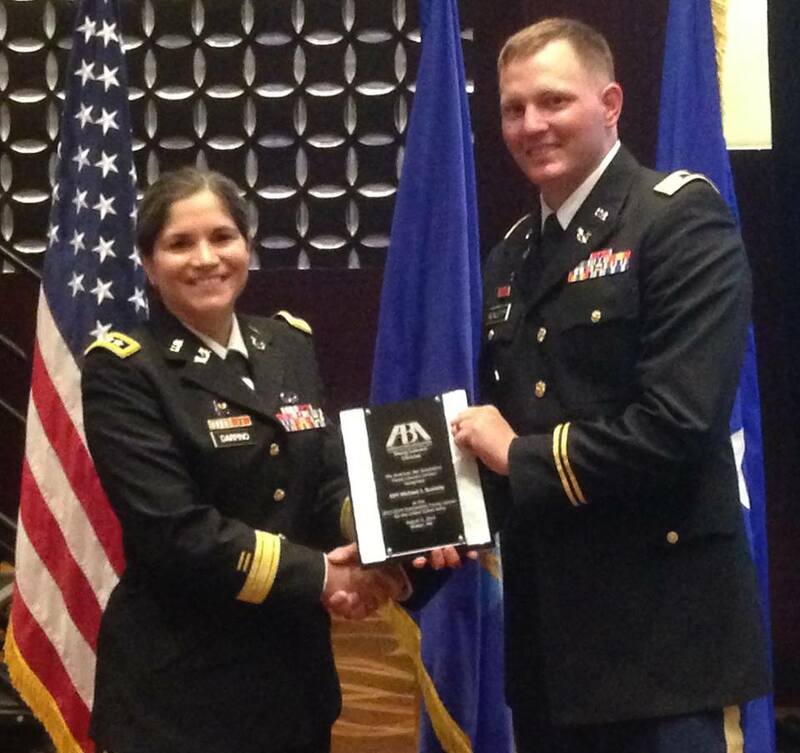 Captain Michael J. Scaletty, '07, Chapman, Kan., was chosen by the American Bar Association as one this year's Young Lawyer Division Outstanding Military Service Award recipients. This award, a joint effort of the American Bar Association (ABA) Young Lawyer Division and Judge Advocate Association, recognizes the legal contributions of one young judge advocate from each uniformed service: the U.S. Army, U.S. Navy, U.S. Air Force, U.S. Marine Corps, and U.S. Coast Guard. Scaletty was recognized during the ABA’s Young Lawyer Division Annual Meeting in Boston. The awards ceremony recognized young judge advocates who have excelled in professional accomplishments, service to the community, leadership, and development of subordinates.